A drink driver whose passenger was killed following a collision in Odiham has today (Thursday 7 February) been jailed for six years. Tenny Turner, 30, of Hound Green Road, Hook, was almost two times over the drink drive limit when his Citroen C2 left the carriageway on the A287 before striking a number of trees and overturning. One of the passengers, 31-year-old Roxanne Moran, was thrown from the vehicle as a result of the collision, which took place at around 12.45am on 25 February 2017. She was taken to hospital, but had suffered unsurvivable injuries and died five days later. Officers initially arrested a 22-year-old man from Camberley after the collision, before learning that Turner had been behind the wheel. Turner was interviewed and subsequently charged with causing death by driving without due care and attention whilst over the prescribed alcohol limit, and possessing cocaine. He pleaded guilty at a previous hearing, before the sentencing today at Winchester Crown Court where he was handed a six year sentence for causing Roxanne’s death, and an eight month sentence to run concurrently for possessing cocaine. In addition, he was disqualified from driving for nine years and will be required to take an extended retest when this ban expires. Following today’s hearing, PC Mark Furse of the Serious Collision Investigation Unit said: “This was a tragic case which once again highlights the catastrophic consequences that drink and careless driving can have. “Time and time again we try and educate people around the dangers, yet there are still people on our roads who persistently ignore this. Sadly, as a result of this, we continue to see deaths on our roads. 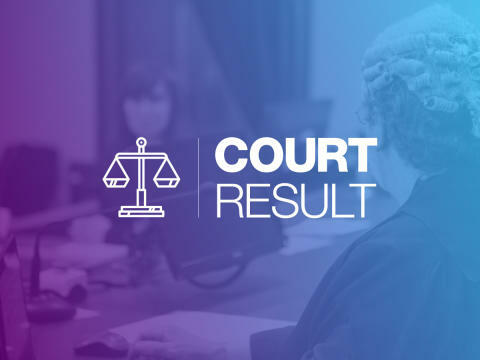 “I hope this case serves as a reminder to anyone who considers getting behind the wheel having had a drink, or allows their attention to lapse whilst driving, of the risks that this poses not only to your life but to the lives of others.